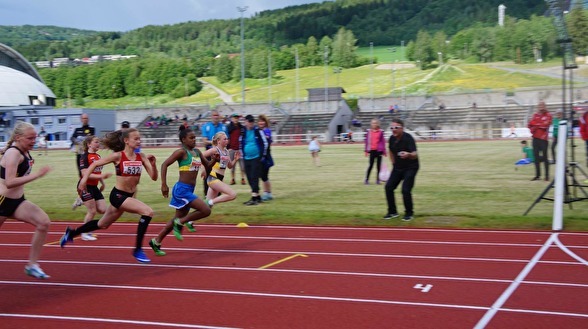 The athletics summer games in Norway was a fantastic experience for Casas da Noruega and it ended up with 3 medals for the Brazilian group. Anna Júlia got the silver medal in 60mts while the boys finished in 2nd and 3nd in 4/60mts. The competition called Veidekkelekene (in Norwegian) started on 22/6 in Lillehammer. This is the first time that the Brazilian team Casas da Noruega is joining the youth athletics competition. The story behind the #veidekkelekene also brought attention from the local media: Brazilian dream of girl and boys competing in Norway was subject of an article in the newspaper!